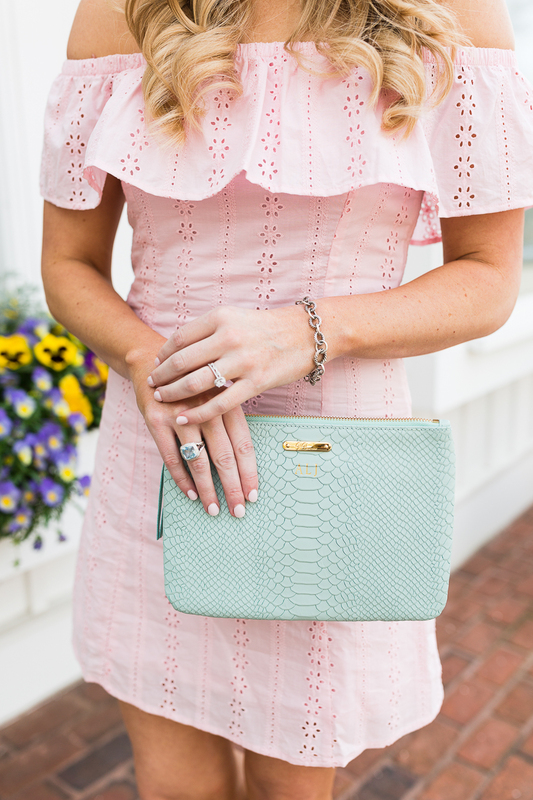 To say I’ve been loving eyelet lately would be an understatement, just wait for the rest of the outfits I have to share with you this month! 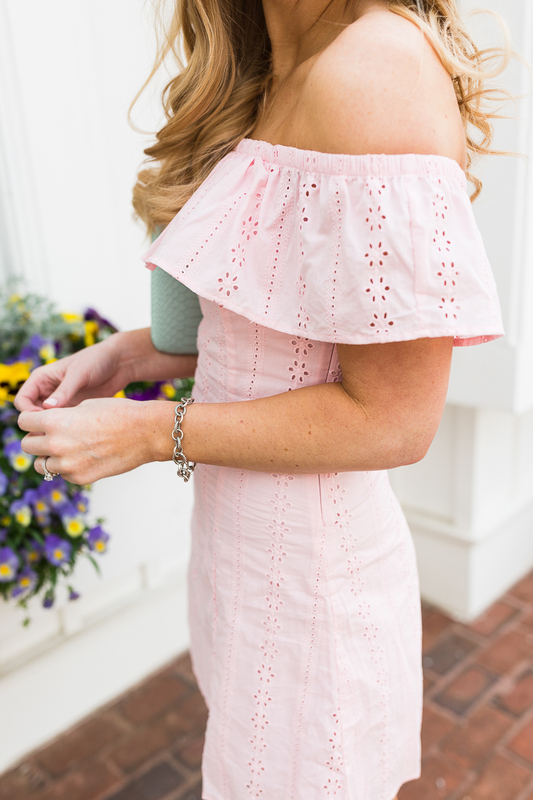 This pink off the shoulder dress is very sweet and flattering. Sizing is always a little tricky here but they recently changed it and recommended ordering your normal size. I’m typically a 4 elsewhere, but went with the size 6 and it fit perfectly. I was an 8 here with their old sizing! This dress also comes in white for all of you brides to be out there. I remember having a harder time finding LWD’s for my Fall wedding, so even if you have a while planning you may still want to pick up your event dresses now. Would you want to see a round-up of some white dress options? You’ll continue seeing these tan wedges throughout the season, they are the most comfortable wedge I’ve ever worn! I tried to resist getting them because I see them everywhere, but there’s a reason for that! Plus the price-point is great. The Tory Burch sale was extended until today where you can save up to 30% off. 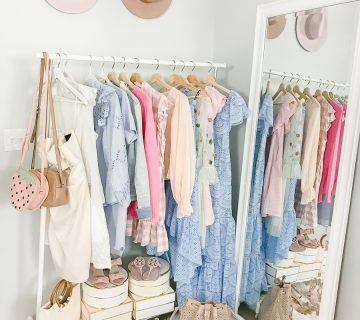 You can see my top picks for Spring here. This dress is gorgeous Amanda! Love that you paired it with the mint clutch.